Participating in collaborative projects are excellent opportunities for GenoSafe to strengthen its research and innovation activities. GenoSafe is a major partner in national and transnational cooperation projects gathering key industrial and academic takeholders developing Advanced Therapy Medicinal Products. 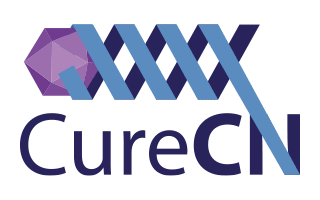 The CureCN consortium brings together 11 European partners from academia, hospitals, healthcare companies and patient organisations to fight the so far incurable liver disease Crigler-Najjar (CN). Together, they aim to validate a gene therapy within a clinical trial to provide the first curative treatment against CN. GenoSafe is responsible for setting up a part of the Quality Controls, and for the biodistribution – bioexpression. GenoSafe is responsible for the biodistribution, viral shedding and immunogenicity analysis. Age-related Macular Degeneration (AMD), a neurodegenerative disease of the retina, is a major cause of blindness in elderly people. Due to the aging population, AMD has been referred to as a “time bomb” in society. This program comprises 13 partners from 4 universities, 2 hospitals, 3 research institutes and 3 industrial partners from 7 countries, who together will develop protocols, reagents and technology to successfully complete a phase Ib/IIa clinical trial for the treatment of neovascular AMD by collecting, transfecting autologous pigment cells with the PEDF gene using the SB100X transposon system and transplanting the transfected cells to the subretinal space of AMD patients within one surgical session. Net4CGD proposes future trials to achieve (i) effective transduction of hematopoietic cells, (ii) physiological expression of the transgene and (iii) long-term engraftment of gene modified cells. Mucopolysaccharidosis VI (MPS VI) is a rare lysosomal storage disease caused by deficient activity of arylsulfatase B (ARSB). MPS VI is characterized by growth retardation, corneal clouding, cardiac valve disease, organomegaly, skeletal dysplasia, without central nervous system involvement. The MeuSIX consortium plans to conduct a multicenter phase ½ clinical trial to investigate the safety and efficacy of AAV-mediated gene therapy in patients with PMS VI. The consortium is a preindustrial demonstrator for the manufacturing and control of therapeutics for preclinical and clinical studies in gene therapy. The work program includes three objectives: (i) reinforcing the process development activities in manufacturing and controls of gene therapy vectors to increase IP and technical competitiveness; (ii) up scaling manufacture and controls of vectors for preclinical studies, which include proof-of-concept and regulatory toxicology; (iii) translation of large-scale technology and processes to GMP cores in order to facilitate and support academic (and private) investigators for Phase I/II gene therapy trials. The ATMPs environment is very innovative. Scientific, technological and regulatory aspects are constantly evolving. At GenoSafe we believe that we can do more by collaborating than by ourselves, thus we generate added value for our customers. We have established non-exclusive partnerships with the following CROs and biotechs. CERB is a GLP Tox facility, providing every kind of models and having a unique experience in gene therapy in Europe. Its services are complementary of GenoSafe’s and we are proud to propose a global offer, from the selection of your models to the analyzed data to be included in the clinical trial approval dossier. 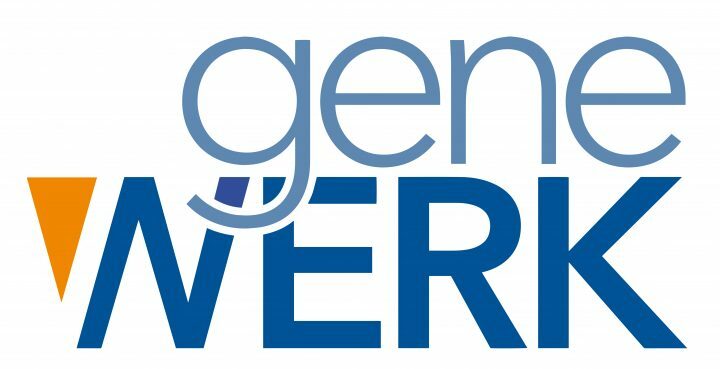 Genewerk provides unique worldwide experience in assessing vector safety and efficacy in gene therapy and immune repertoire studies, bioinformatics, Next Generation Sequencing and associated regulatory demands.